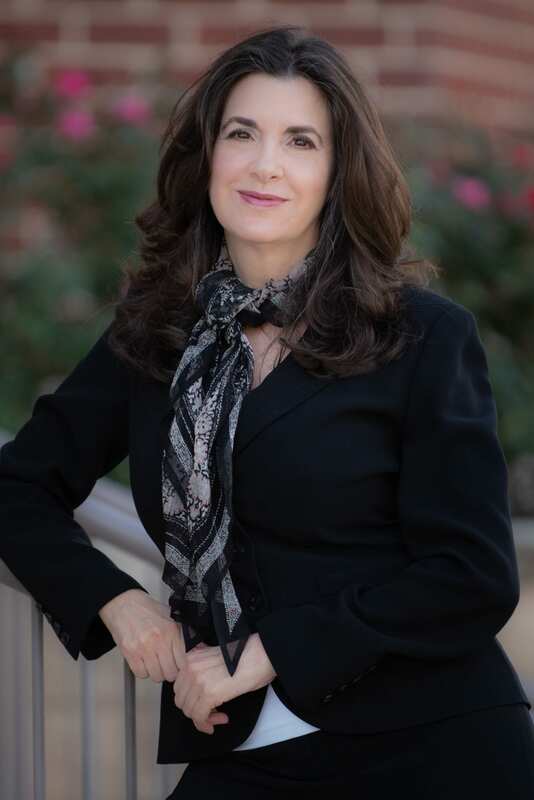 Ms. Quinterri represents lawyers in professional discipline, from initial Bar investigations (“Bar complaint”) to formal proceedings before the Presiding Disciplinary Judge or the Supreme Court of Arizona. She counsels and represents individuals applying for the Bar with regard to the Character and Fitness process. Ms. Quinterri also advises and consults on general professional responsibility issues, assists in fee disputes and trust account reconciliation/investigations, and provides general and expert opinion letters. Lawyers refer to the dreaded letter from the State Bar as a “bar complaint.” The State Bar refers to it as a “charge” (see Rule 46(f)(3), Ariz. R. Sup. Ct.) or an “inquiry” (see State Bar’s website form). Whatever the term used, the fact is, they are always complaints. Somebody is not happy about something a lawyer supposedly did or did not do. Typically the complaints come from disgruntled clients who are hoping to get their money back, sometimes they come from other lawyers or the court or a family member of a client. Sometimes the lawyer actually did do something wrong—however, the statistics show that most of time the lawyer did nothing wrong. The main thing to remember if you receive one of these letters is, you have to answer that letter and you have to answer it timely. Failure to timely respond to the State Bar may be charged as a violation in and of itself. The next question is, do you answer the letter yourself, or do you retain counsel? Like so many questions in our field, the answer depends on the facts. We have all heard the expression: “a lawyer who represents himself has a fool for a client.” In Bar matters, that is definitely true if you are a respondent in the formal process—i.e., the Bar has filed a formal complaint against you before a Hearing Officer of the Supreme Court of Arizona. However, you may not need to hire counsel to respond to the informal “inquiry” letters. Many of those simply require a brief explanation and they will be dismissed. Nevertheless, you really ought to at least briefly discuss it with an experienced discipline counsel to be sure that it is one of those simple matters that will be dismissed. And you really ought to show your draft response to an experienced discipline counsel to ensure that you don’t shoot yourself in the foot with your response. A half hour consultation is usually enough for me to determine what the issues are and let you know whether you need representation or not. I do not beat around the bush and I do not make any efforts to drum up business for myself by suggesting you need my help if you do not. I run a solo practice and I have minimal overhead (purposely). After my review, I will give you my honest evaluation of your situation. Because I was a Bar Counsel, and have reviewed hundreds of charges, my insight can often be invaluable. If for any reason I believe you need representation and I cannot provide that assistance, or you and I are not a good “fit,” I will refer you to the other attorneys who regularly practice in this area. Finally, if you have any inclination whatsoever to stick that letter in a drawer and forget about it, pick up that phone and call me, or another respondent’s counsel, immediately. There is little that frustrates me more than seeing a lawyer sanctioned simply because he or she was overwhelmed with work or personal issues and unable to respond to a Bar charge. If you are a lawyer who has received a probable cause order from the State Bar of Arizona, you need to obtain counsel promptly. The formal discipline process is very different from the civil or criminal process. Discipline is, by definition, different. The disciplinary rules require hearings to be completed within 150 days of the filing of the formal complaint. Maintaining due process in this expedited process is difficult. The worst thing that an attorney can do is fail to respond. If there is any inclination to put that letter to the side and forget about it, call Ms. Quinterri or another experienced respondents’ counsel immediately. Attorneys shouldn’t be embarrassed if they do not understand what it is the Bar is asking for. It is important to remember that you will certainly not be the first lawyer in that position, and probably will not be the last. Ms. Quinterri is very experienced with trust account cases and can quickly evaluate your case. Trust account investigations usually begin with a bounced check. The banks are required to report overdrafts on IOLTA accounts to the State Bar. When the State Bar receives notice from the bank of an overdraft, the Bar immediately opens an investigation. The lawyer receives the letter from the Bar’s trust account examiner and is required to respond timely just as in any other Bar inquiry. Just as in regular Bar complaint situations, the question whether a lawyer should retain counsel to assist with the response depends on the particular facts at issue. I am very experienced with trust account cases and can quickly evaluate your case. Again, the worst thing that you can do is fail to respond. If you have any inclination to put that letter to the side and forget about it, call me or another experienced respondents’ counsel immediately. Do not be embarrassed if you do not understand what it is the Bar is asking for. You will certainly not be the first lawyer in that position, and probably will not be the last. If you have any concern that your trust account is not maintained exactly in accord with the rules, why wait for the Bar to find out about it? Schedule a meeting with me, at your office, and show me your books. Ask any questions you may have, without concern as to possible reprisal. For example, do you know what a three-way reconciliation is? If not, would you like somebody to explain it to you in plain English, along with the reasons why you need to do it? I can do that. If it turns out that your bookwork is not up to par, I can either advise you how to fix it yourself or help you hire staff to get that done—you don’t want or need to pay lawyer rates to balance your account. I can also provide training for your staff or assist you in obtaining that training at a reasonable price. I have a number of clients who I may hear from only a few times a year. In most cases, my clients are solos and small firm practitioners who occasionally need a sounding board and do not have the luxury of an in-house ethics counsel or other partners to brainstorm with. The State Bar has an ethics hotline that is available for many questions, free of charge. However, not all questions fit under their guidelines, and there are also times when you may wish to discuss your issue with your own personal ethics counsel. Examples of the types of issues you may wish to discuss: fee agreements; third-party payers; potential bar complaints by angry clients; fee disputes; law related businesses; opposing counsel or opposing party disputes; conflicts questions; concerns about staff; reporting concerns (i.e., “do I have to report so and so to the Bar? ); trust account questions; changing law firm questions; advertising questions; file retention or delivery; emotional, health or substance abuse issues. This list is not, by any means, exhaustive. As we know, solos and small firm practitioners turn up in the discipline section of the Arizona Attorney considerably more often than lawyers in larger firms. This is not because solos and small firm attorneys are any less ethical than larger firm attorneys. There are many systemic reasons for this result, but one significant reason is simply the lack of support and the inability to walk down the hall and talk to another lawyer about a potential ethical problem. I provide that type of assistance for solos and small firms, at a reasonable rate. Applicants to the State Bar must apply to and be approved by the Character and Fitness Committee of the Supreme Court of Arizona. If the Committee sees deficiencies in the application, the applicant may be subject to an informal hearing, a formal hearing, or possibly both. The applicant may, of course, be represented by counsel at the hearing. Whether representation is recommended will depend on the facts— in many cases an applicant will do fine without representation. Applicants facing a hearing are usually best served by scheduling a consultation to discuss the particular facts at issue and to go over the process and what to expect at the hearing. By the third year of law school, law students who may have issues with their character and fitness application are usually aware of the potential problem and experiencing extreme concern about the possibility. Students in that situation would also be well-advised to schedule a consultation where we can discuss the facts at issue and I can give the student a good idea as to what to expect. Even if a hearing is to be expected, simply finding out what the process entails will often put their mind at ease and allow them to redirect their focus back to their studies.